The boy walked along the ocean shore... trying not to stray. He looked up to his Father saying "Dad I want to play." His Father looked upon him, with love showing in his eyes. "Do what you want to, my son... but do not leave my side." "I would never leave you daddy, I love you way too much." But the boy took a step away, out of his fathers range of touch. He walked through the surf, The waves tickling one toe. "If I take one more step in... " he thought "Father will never know." His father called out to him, "Son, to me remain true." The boy thought with glee... "At the moment I don't need you." His Father felt a sadness, But he held his tongue. Sometimes lessons need to be learned... even when so young. The boy stepped out a little further... the water covering his waist. His Father spoke with urgency... his father spoke with haste. "My Son come Back to me," he said "The day is almost done." Not yet, Dad," the boy yelled, "I'm having too much fun!" The Tide was coming in fast... There would be no time to yell. "Father!" he tried to scream As the water covered his head. "I need you now daddy!" was what the boy had said. And in a single instant his father was by his side. "I thought you left me daddy... I thought you went to hide." The Father looked upon his son... a tear streaming down his cheek. The Boy looked upon his father. and cried the sobs of the meek. "I would never leave you son... For I love you just the same." "I was only waiting... for you to call upon my name." continue reading "The Never Ending Call"
How might our lives look if we were so filled with God's truths we could let go of the pain of our past, not get tripped up by the troubles of today, or consumed by worries about tomorrow? Sound impossible? It is impossible when we try to make it happen on our own by doing more good Bible study girl things. Praying, reading the Bible, doing another Bible study, going to church, and being nice are wonderful and necessary. But just going through the motions of these activities will not fill our souls. They must be done with the great expectation and heart cry for God to lead us into a deeper and more life-changing connection with Him. Isn't it time you said YES to God? Have Chapter 1 read and ready to discuss on Tuesday, October 6th. Stop by Lelia's blog and let her know that you will be participating. Remember to invite your friends! You do not need to be a blogger to join in. Hope to see you there! Still have questions? Check out the YES to GOD FAQ's and answers. continue reading "Becoming MORE THAN A Good Bible Study Girl"
Jesus had a unique way of clearing up misconceptions by helping people see truth as it was meant to be. For example, in John 9 we find Jesus refuting the traditional explanation of suffering when His disciples point to a man born blind and ask, "Who sinned, this man or his parents?" In other words, they wanted to know Why did he deserve blindness? Jesus answers frankly, "Neither this man nor his parents sinned, but this happened so that the work of God might be displayed in his life." The disciples looked backwards to find out why the man was blind. Jesus redirects their attention by pointing forward and upward with a new and different perspective. Usually, our response to challenges or suffering is determined by our perspective. 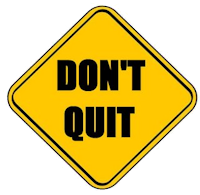 When our focus is inward on ourselves or outward on circumstances, our natural response is fear, insecurity, grumbling and despair. I know. I've been there far too often. Have you? Yet, Jesus redirects our questions and our focus. In doing so, it causes us to see suffering in a new light that disproves the old tradition. Not all suffering is a direct result of sin. Pain has a higher purpose in our lives. It's not necessarily there because we deserve it. It's to reveal God's glory. Suffering is meant to refine us. James says it makes us "perfect and complete, lacking in nothing" (1:4b, ESV). Pain drives us to seek the heart and will of God. Perhaps you and I have been going at it all wrong. We've been looking backwards in the rearview mirror of life asking, "Why? What did I do to deserve this?" Instead, we should look forward and up asking, "What's the purpose of my pain? What's the end result? What is God trying to do, accomplish, or teach me?" These types of questions enable us to hold out hope for the future. They remind us our suffering can be transformed or redeemed. Tragedies and hardships like the loss of a spouse, a child, a limb, a job, or a home can be used to display God's work and make us more like Jesus. Isn't it time you and I looked up? An upward focus brings about a supernatural response that reflects trust and confidence in God, as He brings about His glorious work in each of us. Dear Lord, give me a new perspective today. Help me see the real meaning of my suffering. Enable me to trust You with the good work You are accomplishing in my life through this pain. I long for You to be glorified in this trial. Give me the strength I need to make that happen. In Jesus' Name, Amen. Visit Micca's blog, Reflections, and find out more about her resources here. Choose not to look in the review mirror of life today. Instead, look forward. Ask God "to what end" is my suffering. Look for evidence of how God is at work refining your faith and character to match His. What do you think God is trying to accomplish in your life through your suffering? The blind man learned something about Christ from being healed. What have you learned about Christ from your experience? 1 Peter 4:12-13, "Dear friends, do not be surprised at the painful trial you are suffering, as though something strange were happening to you. But rejoice that you participate in the sufferings of Christ, so that you may be overjoyed when his glory is revealed" (NIV). continue reading "A Different Way to Look at Suffering"
Labels: focus, Jesus Christ, perspective, sin, suffering, transformation, trust, why? The name Rosh Hashanah means "beginning or head of the year." This celebration marks the beginning of the High Holy Days on the Jewish calendar. The Bible refers to Rosh Hashanah as the Feast of Trumpets, and it begins the Ten Days of Awe that conclude with Yom Kippur – the Day of Atonement. This is a wonderful time to seek the Lord, repent for wrongdoing, and consecrate ourselves to God, thanking Him for His work in our lives. Find out more about Rosh Hashanah. continue reading "10 Days of Awe..."
Love, love, love this Bible. This is the first book that I chose to review for B & B Media Inc. and I am so grateful for the opportunity to review this highly anticipated release. When I had the opportunity to review The Transformation Study Bible; it was an easy choice, as I had been recently searching for a new study Bible. In fact, this very Bible was on my wishlist at Christian Book Distributors to purchase. I eagerly awaited the arrival of The Transformation Bible; and was absolutely thrilled with it right from the start! Flipping through The Transformation Bible, it was easy to see that this Bible would become a quality resource for my quiet time with God. The Bible's full text is written in New Living Translation and includes accompanying notes from the 50 books in the 'Be' series by Dr. Wiersbe. It also includes: book outlines, book overviews, catalyst notes, study notes, cross references, concordance, charts and maps, as well as a "Be Transformed." This Bible is POWER-packed! A quality resource for those wanting to be transformed by the POWER of God's Word. I highly recommend The Transformation Study Bible. continue reading "Making the Word of God More Understandable"
2. When you are having problems with your children and you have put them on the altar, but God has not delivered them yet, you are in a holding pattern. 3. When you have been praying for the salvation of a loved one and they have not been saved yet, you are in a holding pattern. 4. When you are in a broken relationship and you have given it over to God, but it has not been restored yet, you are in a holding pattern. 5. When the doors slam shut before you can knock on them, you are in a holding pattern. • The pattern has a purpose. • The pattern has a plan. • The pattern has a process. We are qualified BECAUSE He qualifies us! We just NEED TO STEP OUT IN FAITH and begin to follow His lead. Join A Woman Inspired for their first Annual 'Step Into Ministry Conference.' Join them September 15th for this FREE ONLINE CONFERENCE! Register for free. In considering lives of ministry, most women fall in to two categories: The Clueless or The Cowards. We either have no idea what God is asking of us or we are horrified to risk acting on our desires. In this session, Lisa will present relevant Scriptures which explore the mysterious way God's will and a woman's dreams intertwine. Also expect many practical suggestions on how to step into God's good intentions for you! Do you feel called to serve in ministry? Not sure where to start now that you've taken the plunge or how to best serve the community the Lord has called you to? Whether you are a mother called to the ministry of homeschooling, a missionary in Uganda or an executive called to serve Christ in the workplace, God has a very specific purpose for you. Often times it is not the first step into ministry that is the most daunting, it is sticking it out! In Colossians 4:17 Paul wrote to Archippus: "See to it that you complete the work you have received in the Lord." Today, the Lord says that to you. Join Kristen Schiffman as she explores our biblical call to "do the Archippus thing". We'll learn what it means to continually see to the ministries the Lord has entrusted to us and how we can better offer our hearts to His service. continue reading "Step Out Into Ministry!" Are you serving God? Are you wearing out and feeling kicked? You don’t have to be one of the many statistics who are throwing in the towel and walking out. 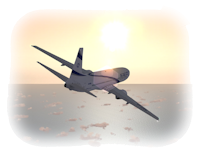 Did you know that over 1500 pastors are leaving the ministry each and every month?! This does not have to happen. God is on your side, but there is evidence of an enemy who uses certain devices hidden to many in order to weaken, frustrate and extract the good things God has placed in you. Learn how to combat the enemy so you can stay on course with JOY. This truth will surprise you at how simple the solutions are; yet you will see how the devil has disguised these simple truths, hoping that you never ‘get it’ so he can continue to weaken you, dilude you and eventually eliminate you from the race. You don’t want to miss this free teleseminar. Susan's Passion: To stop Pastors burnout and reverse it; as well as Pastors wives burnout. To inspire, motivate, edify, exhort & comfort, as well as train. Her ideal client is someone who knows the importance of investing in themselves & in their success, & realizes that 2 heads (or more) are better than one & that together we will make a difference! continue reading "5 Hidden Links the Devil Uses to Sabotage Your Life and Ministry"
What if you could sit down across your desk with some of the best leaders in today's church and hear what they would say to you? That's the idea behind THE NINES. 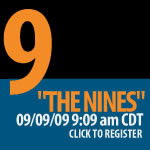 THE NINES is a free one-day event that will take place totally on-line. It is designed for all church staff members who want to be motivated and stretched in their leadership. Leadership Network asked some of the church's greatest communicators: "If you had nine minutes to talk one-on-one with thousands of church leaders, what is the one thing that you would tell them? The result is a series of passionate and personal messages that will help you and your church navigate into the future. The format is simple: Nine minute video leadership lessons that can help multiply your church's impact. You will be stretched as a leader, and motivated as a church. And you'll hear a personal word from many of the leaders you know and trust (along with some great new leaders we'll introduce you to). It all starts at 9:00 a.m. Central time on 09/09/09. We'll make a day of it. The conference will probably last around nine hours! You can come and go as you please, but hope that you'll be with us the whole day! Add the download format of GOD'S WORD Heard! New Testament to your cart and enter the coupon code SEP2009 when prompted during checkout. continue reading "God's Word Heard!"